Congratulations to this year's student winners of Trees For Watertown's Big Tree Contest! November 2017: Big healthy city shade trees are good for human health, good for the environment, and good for community well-being. 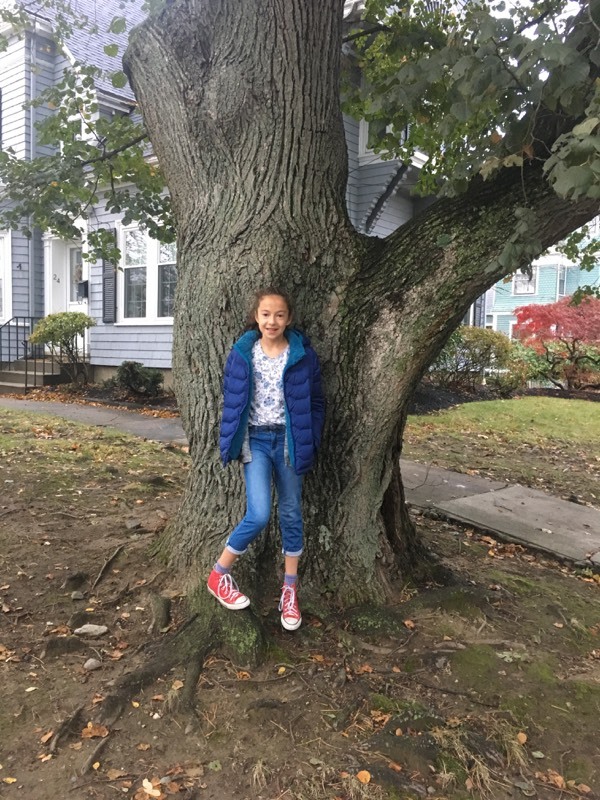 TFW's Big Tree Contest gives Watertown students in Grades K through 8 an opportunity to win a prize for reporting the biggest Watertown tree they can find, with a focus on six specific tree species each year. The biggest entry reported for each species wins a gift certificate to Belmont Book Store. Congratulations to the following four students for reporting the most impressive specimens of four contest species this year: Cameron Burke from Cuniff School found a 63" diameter maple tree at 17 Nyack Street, Lily Finton from Hosmer School found a 65" diameter linden tree at 24 Garfield Street, Liiana Ng from the 3rd grade at Hosmer School found a 58" diameter oak tree on the Hosmer playground, and Ryland Schrader from Hosmer School found a 54" diameter sycamore on Casey Playground. Three more students won Honorable Mentions for finding impressive trees that were not on this year's contest list but are nevertheless worth noting. Nairi Davidian from the Lowell School found a 49" diameter willow tree at 239 Edenfield Avenue; Caleb Kaufman from the Cuniff School found a 34" diameter spruce tree in Ridgelawn Cemetery, and Annabel Sasser from the Atrium School found a giant beech measuring 79" in diameter at 249 Common Street. Annabel also found a huge rare pignut hickory tree at 183 Common Street. Next year the Big Tree Contest will be back. 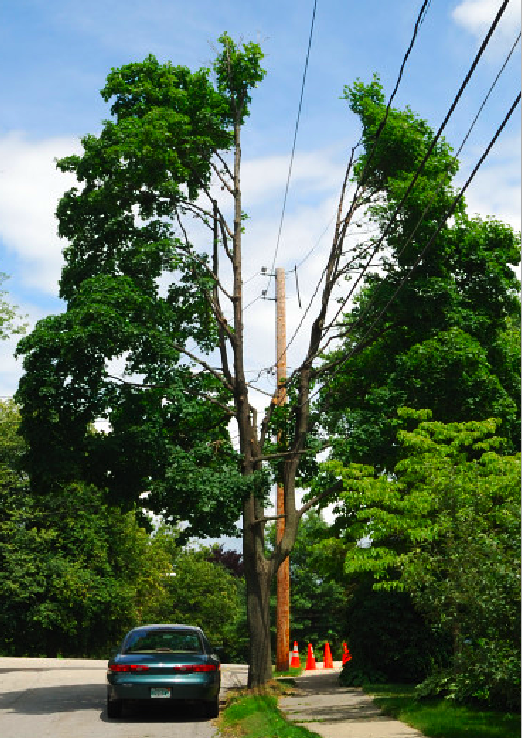 Tell your kids to get ready for next year's contest by keeping an eye out for big beautiful trees in Watertown! 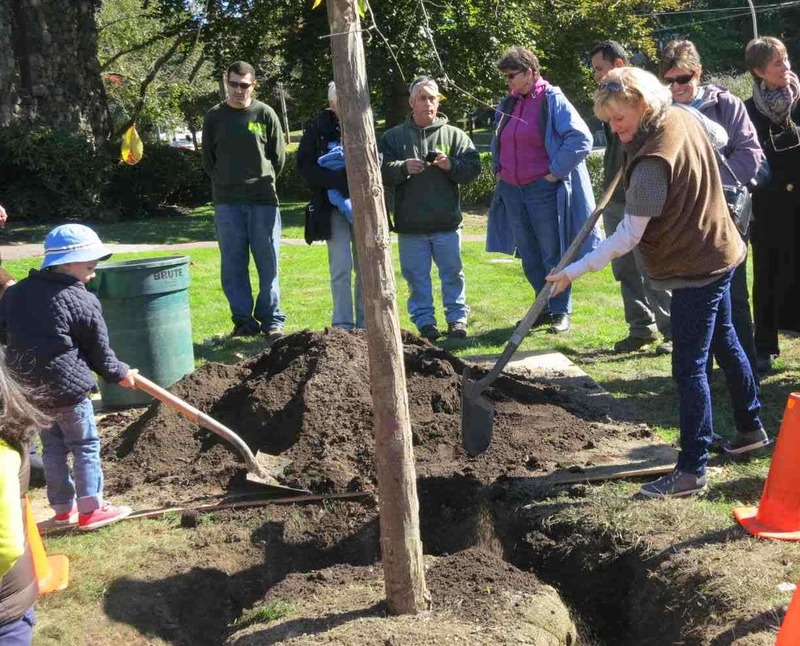 Trees for Watertown is a non-profit volunteer citizen group dedicated to caring for our community and environment by making sure Watertown neighborhoods are beautified and protected by healthy shade trees, now and long into the future. August 2017: Watertown's Teen Tree Stewards put together a downloadable Tree Identification Guide to 11 common Watertown shade trees, with interesting facts about each species. Click to see the color booklet! Read this excellent August 2 Watertown News article by Charlie Breitrose about our Teen Tree Stewardship Program. And here's another excellent article about TTSP: August 11 in the Boston Sunday Globe, by Sophia Eppolito. July 2017: With grant support from the Watertown Community Foundation and Trees for Watertown, a team of six local teens are learning how trees grow and how to care for trees, are discovering the many vital benefits city trees provide, and are exploring ways to help Watertown's trees and to share what they learn with the Watertown community. Above: the Team with Program Coordinator David Meshoulam (4th from left) and Nature Conservancy Presenter Rachel Holmes (holding the Team Tshirt) at the Healthy Trees, Healthy Cities training conducted by Ms. Holmes on July 13. January, 2017: Trees for Watertown has a Facebook page! Design must allow for proposed trees to grow to their mature size. Planning documents should specify measures to ensure that there is sufficient space for water penetration and root growth and that the location is appropriate to the mature size of the proposed tree. This formal acknowledgement of the importance of trees as critical green infrastructure is a real first, a watershed moment for Watertown. 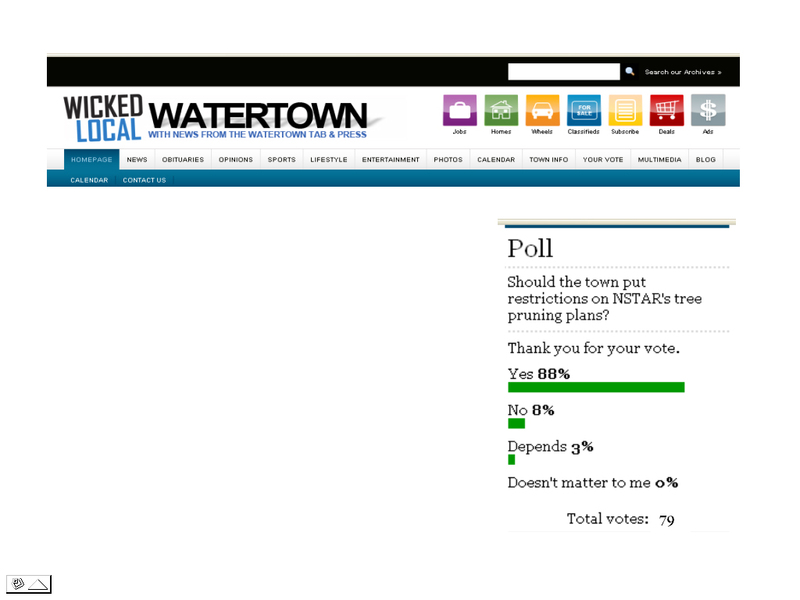 Now to make sure Watertown can follow through! May, 2015: TFW planted the last three Osage Orange trees from our Grove Street tree nursery into fairly harsh street sites. This is the second phase in our experiment to see whether this hardy tree species does well as an urban street tree. This is also an experiment with bare-root street tree planting. As of May 2015 the five Osage Oranges planted in Spring 2014 were doing excellently under the care of their neighborhood tree stewards. for this work, despite repeated alerts to MassDOT and Belmont. The result has been severe and continuing tree damage. the contractors have packed up and left. This is why protective measures are so important. TFW's Osage Orange saplings spent three years in TFW's tree nursery. See how tall they were in Fall 2013! 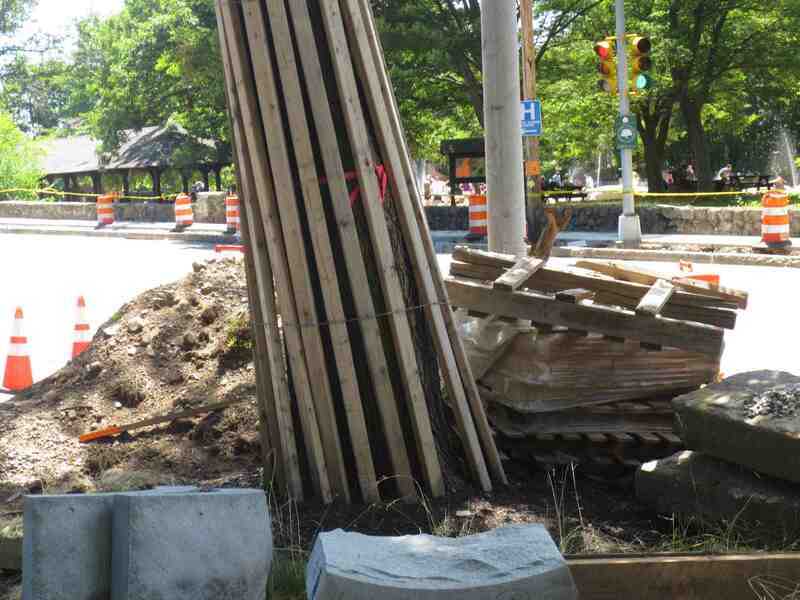 These trees were transplanted to sites on Watertown streets in Spring, 2014. We'll update you on how they do. Ready to help out by visiting a few of your neighborhood street trees with a list of items to check? Please contact TFW to learn how you can help! 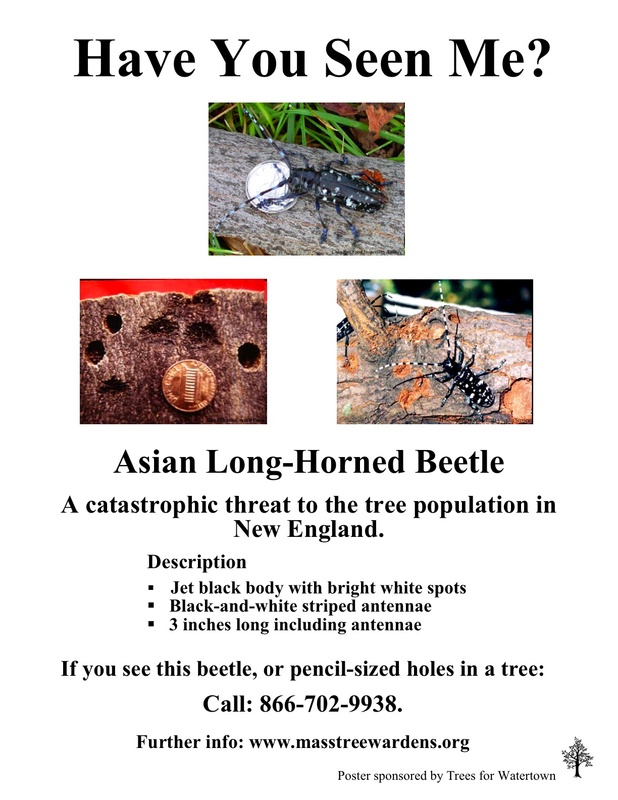 Here's a useful pamphlet on an easily-preventable problem for many young street-planted trees. Church, to plant a handsome "Valley Forge" elm in her honor. Mount Auburn Street for the next couple hundred years. CLICK HERE to link to a text of the wonderful Blessing of the Janet Bunbury Elm by Pastor Amy McCreath. CLICK HERE to link to an album of pictures from the event. Cemetery's tree nursery, to grow until they were tall enough to be planted out on the street. 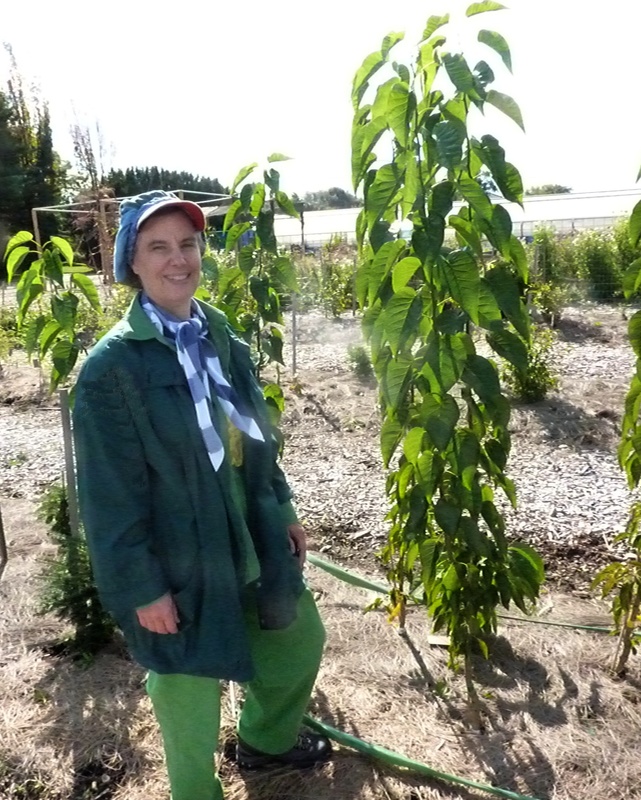 Look how tall and healthy these seedlings were just seven months later! 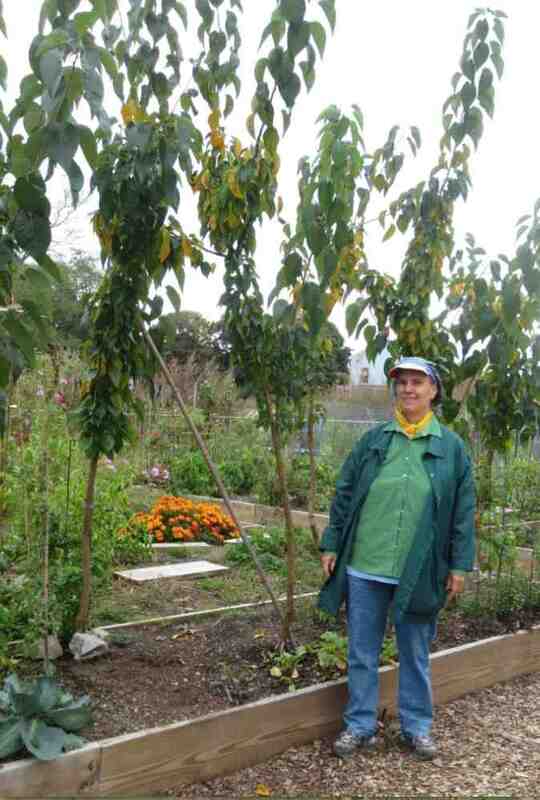 Garden, where they have spent a growing season re-establishing their root systems. 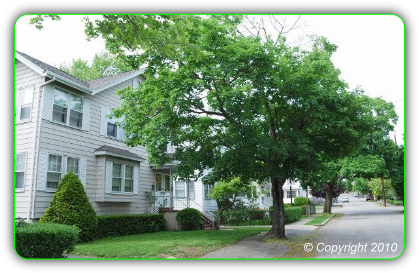 We are now looking for good sites for this test variety of street tree. Suggestions are welcome! 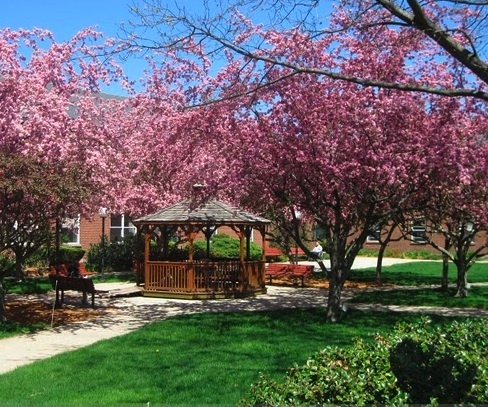 Topic: The Arsenal Apartments Courtyard will stay! Board voted unanimously not to approve the project. approval, which was required for the project to go forward. residents to the Planning Board in defense of the Courtyard. TOPIC: WHAT IS A TREE WORTH? You can watch the full event on YouTube. The presentations begin at about 12 minutes into Part I (of 4). Here are links to these hugely informative articles. Part I What's So Bad About Leaf Blowers? Part II What's So Bad About "Mulch Volcanoes"? Part III What's So Great About a Shade Tree? An illustrated brochure by Dan Burden, Senior Urban Designer.